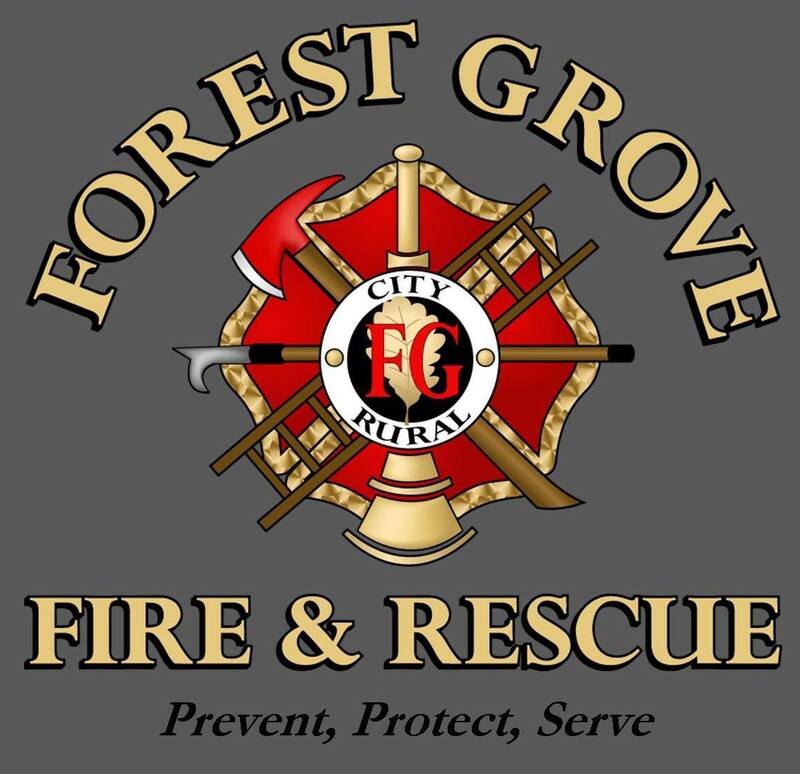 Last night was Forest Grove Fire and Rescue’s annual awards and recognition dinner and it was held at our church. Tom received a call from our Pastor asking if he would like to welcome them and help get them set up. Tom jumped at the chance to be in the same room with all the men and women who were there the night our girls went to Heaven. He asked me to come along but I couldn’t. Yesterday I was sinking in my grief and I just couldn’t go; my PTSD is intense right now and I’m having a hard time with flashbacks from the accident. Something I know that I’ll live with the rest of my life. It’s part of my wet suit. I woke up this morning with a lot of regret that I didn’t go. I’m sad that I missed a chance to be there with these amazing men and women. I am so grateful for everything they have done for us and for our community. They have loved us and cared for us in our darkest hours and in ways I couldn’t imagine. Words really can’t express my gratitude for these men and women. I am proud to say they are my communities firefighters. Our dear friend, Chad, received the Firefighter of the Year Award. We are so proud of him. The night my girls went to Heaven there was nothing the firefighters could do, nothing Chad could do to bring them back. My girls, without pain and suffering, were on their way to Heaven before they even got there. Abigail, being bigger and stronger, was able to give the gift of life to others by being put on life support for a few days in order to find the perfect matches for her precious organs. This was a true gift from God and the joy that came in the hours following the worst night of my life. Chad, along with many others, took care of us not only that night but for many nights that followed. He interacted with the media, he coordinated projects around our house, helping the firefighters to deal with their own trauma from the accident, and he loved us. My girls, I’m sure, are so proud of him and how he took care of us. These men and women were not able to save my girls but they did save us. They, along with Washington County Law Enforcement, stood and watched over us, they prayed with us and took care of our community and gave us hope in the good of humanity. They remember our girls and honor the beauty of their lives. They will not forget and they do everything in their power to keep our community safe. For this I’m eternally grateful. So yes Anna, Chad will come with his friends and save us. I was so inspired with a Love Rock I received that I’ve made my own and randomly place them around, especilly when I’m traveling. I don’t know you and your family but my heart goes out to you for the courage and strength you share. The Love Rocks continue to spread love on the planet. Your girls are remembered and loved. Thank you for allowing us in to your lives so we can love and support your journey. Thank you for sharing the love and joy Bev ❤ I'm smiling because Anna's imaginary friends are named Big Bev and Little Bev. Love to both you and Tom. You are both in my thoughts and prayers often. Thank you for your words. But don’t feel bad or feel that you have to do things. We know you want to do everything for everybody who helped. When the darkness overwhelms you, wrap yourself in the bonds of community that were lovingly knit in your prayer shawls. Breathe in peace, breathe out love. We’re your net, your community who loves you and loves your girls, no matter what. That was a beautiful tribute Susan!! I am home now and I saw you walking with that darling Linus. I can’t wait to meet him and give you a big hug!! What a beautiful tribute to these men and women. I suspect they will be deeply touched by your words. I also am sorry you are struggling with flashbacks and pstd. Both very real and draining things. I am sorry they reared their head and made it hard to go, but also proud that you took care of you and did what you need to do. Praying for peace for you. Something tells me you can pick up the phone any day when you are feeling up to it and ask your heroes if they would like to meet up. So much love Susan. I know that had to zap all your energy to write and think about. Simply, you have my hugs and prayers. Meanwhile, lean into Linus, he has an inside connection to an emotional link between you and the girls. Let his fur absorb your tears. Beautifully stated. There are so many things that happen behind the scenes, and I am happy that you honored all the men and women who serve our community by acknowledging.